One of the main goals of KROBS is prevention. 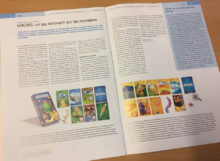 The messages of prevention depicted in our game have been discussed with multiple colleagues, doctors, infectious disease specialists, microbiologists, and epidemiologists. 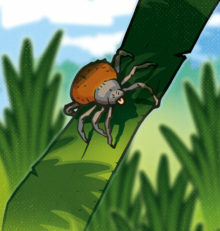 For example, the tick-borne diseases were validated by Rahel Ackermann, Reto Lienhard, and Gilbert Greub, who lead the National Reference Centre for tick-transmitted diseases. 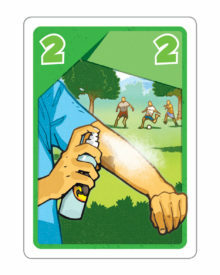 The messages promote the reduction of exposure to ticks (by suggesting what to wear and to use a bug spray) and to check for ticks upon return of a hike and remove any possible ticks. 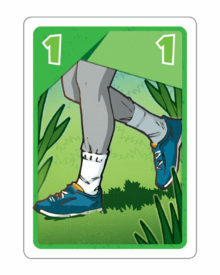 The quality of the preventive messages represented in the game KROBS has allowed us to obtain funding from the federal public health office (see sponsor page). 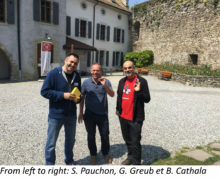 To avoid the possible panic effect on the public we did not only present « risky behaviors », but also promoted a positive message with the « low risk activity » cards. Water can be a source of infection through humidifiers, vaporizers and AC. 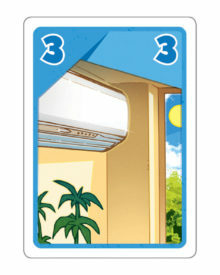 However, if these items are well maintained they represent low risk. 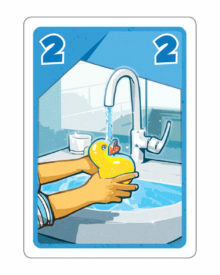 Similarly, tap water and showers usually do not present a risk for our health. 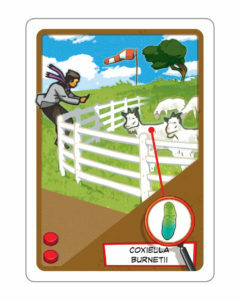 Coxiella burnetii is a bacteria that can be transmitted long distance through wind dissemination. Our position towards the wind will determine our risk. 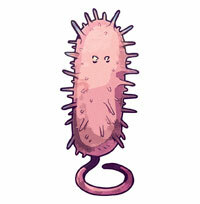 Raw chicken meat can transmit Campylobacter. Using a plate with separations will allow us to have raw vegetables or salads on the same plate as raw chicken meat that will be cooked in the Bressan fondue safely. 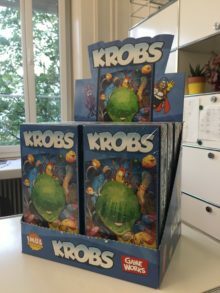 The game KROBS can be used as an educational tool by medical or biology students as well as biotechnology majors. 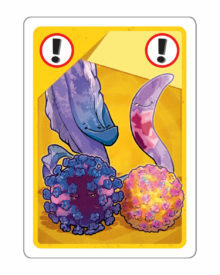 During their studies the students have to learn multiple pathogens and recall not only their names, but also some characteristics. 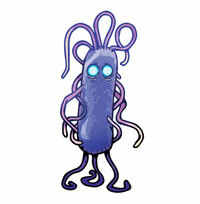 The visual representation of a proportion of these pathogens will ease their memorization. In these examples Listeria is purple as it stains with the crystal violet during a Gram staining, a common staining used by microbiologists. Bartonella on the other hand will appear pinkish with the same staining procedure. 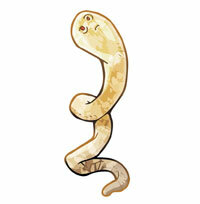 Borrelia cannot be stained by Gram, but has a spiral-like shape and is therefore classified as a spirochete. 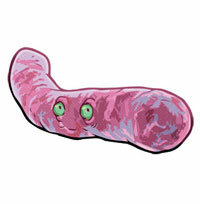 Finally Mycobacterium is pink as it stains with fuchsin in the Ziehl-Neelsen staining. 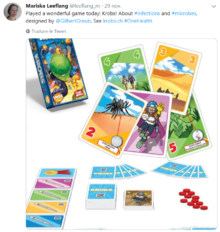 In addition, the game KROBS was designed to represent the five major transmission modes of microbes (animal-borne, tick-borne, foodborne, waterborne, travel-associated). 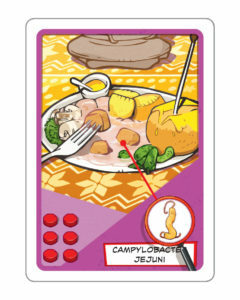 For each transmission mode the game KROBS provides an example with four pathogens as from our experience any microbial list with more than five members becomes too hard to retain. 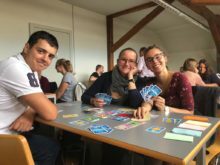 In the month of September 2018 we tested out the game as an educational tool during the practical microbiology labs with a subset of our third year medical students and the health sciences school of Lausanne. 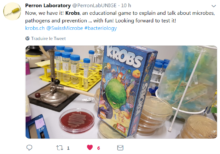 The educational impact of the game KROBS was evaluated on a larger scale with the aide of a survey distributed to 250 second year medical students prior and after they played the game during the microbiology labs. 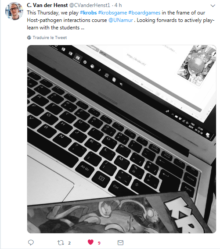 The analysis of the data is still ongoing and, but if the educational value of the game can be demonstrated a second version with an additional 20 germs could be released. original idea by Gilbert Greub. submission of a financial proposal called « playing with microbes » to the Swiss National Science Foundation (Agora). 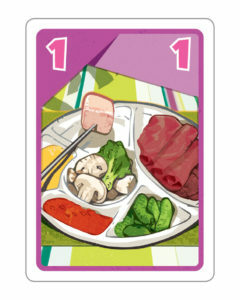 Funding was not approved as the SNSF preferred electronic games. first meeting for the conceptualization of the game with Carole Kebbi, Ulrich Schädler, Sébastien Pauchon and Gilbert Greub. 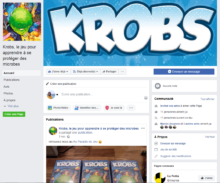 funding secured through other sponsors. .
development of a first prototype of the game KROBS and progressive improvements of the game-play with the assistance of Bruno Cathala and Malcolm Braff..
finetuning of the game-play during the game creators day in Tour-de-Peilz. 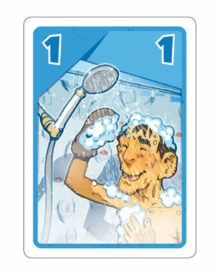 Edition of the game with representations by Vincent Dutrait and design of cards and tokens by S. Pauchon, C. Kebbi, and G. Greub. 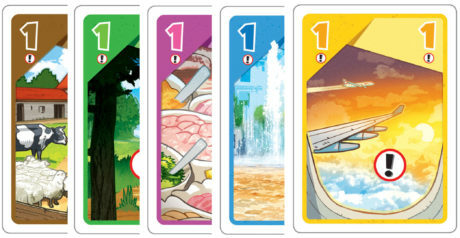 development of the game rules and of the website dedicated to the game with the help of the company « la Petite SARL ». 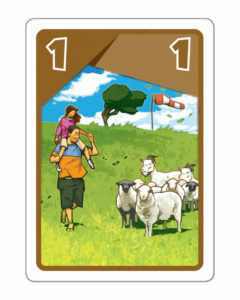 test of the game at the game center in Tour-de-Peilz . 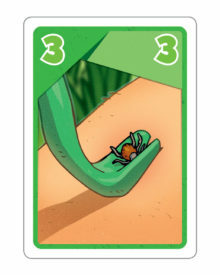 funding of the company JeuPRO production of the game and marketing. launching of the website to the public. Delivery of the games to the JeuPRO headquarters in Mollie-Margot. 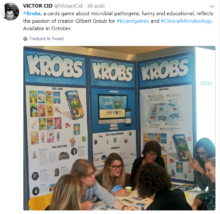 First tweet by Victor Cid during the demonstration at the Swiss Microbiology Meeting in Lausanne (28-30th September 2018). 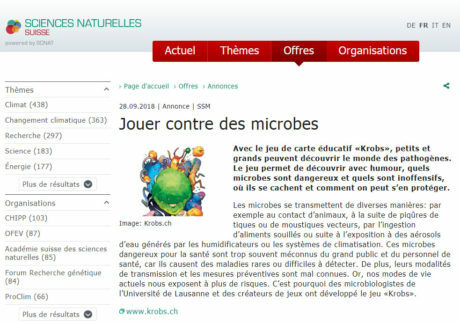 The game is promoted by the Swiss Natural Sciences Academy. 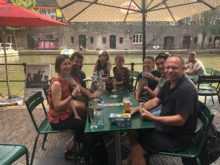 In Utrecht (Netherlands) an ongoing game with Adam Polkinghorne (Australia), Emma Harding-Esch (UK), Ming Tang (USA) and Gilbert Greub (Switzerland).